I got this fabulous little idea from my Friend Hilary's blog- sorry ladies she's private, but she is ever so crafty and just as nice on the phone as she is on her blog! So Thanks Hilary!! With Brinley's baptism this coming Saturday I thought this would be a fun little gift for her. I made a second for our cousin's little girl who's baptism is the next day. CTR Pattern is just a Coloring Page, just Google it to find one and print it out. 1. 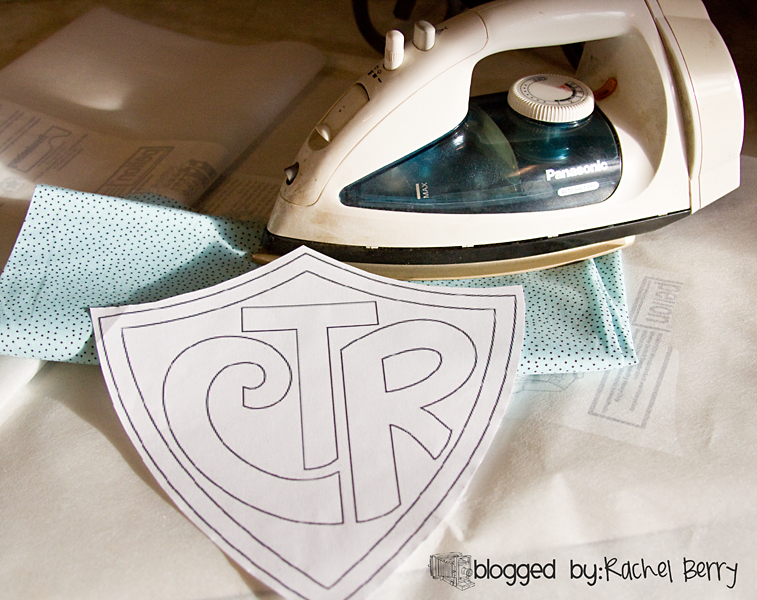 Iron the Wonder Under to the wrong side or your fabric. 2. 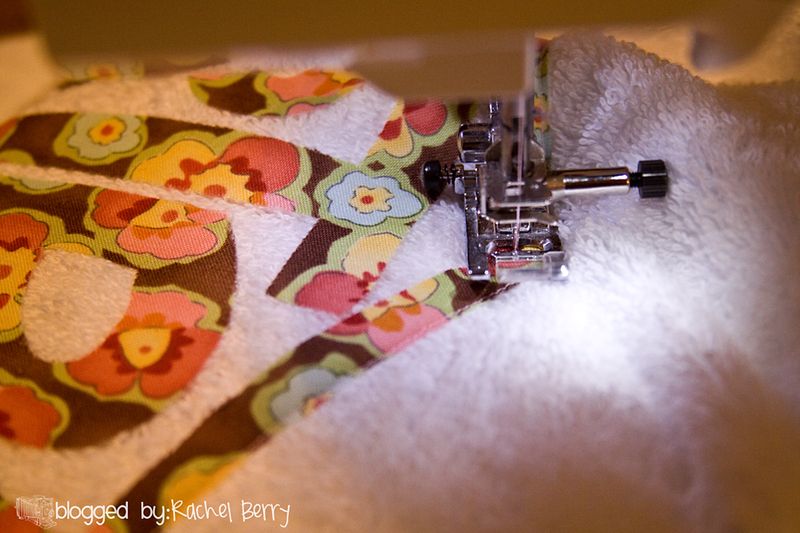 Then pin your pattern to your fabric and cut out. 3. 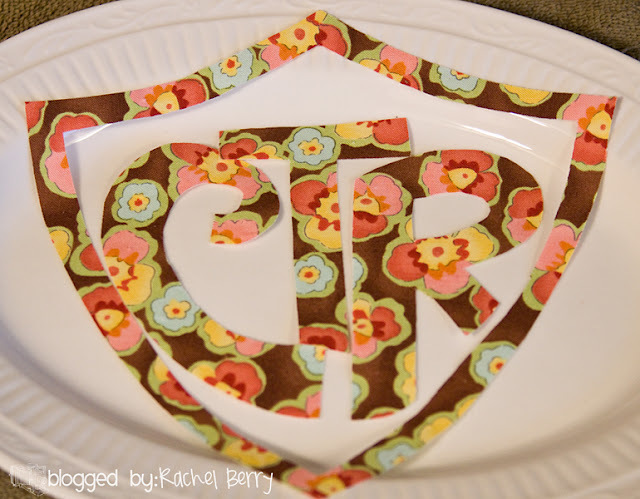 Peel off paper backing and iron pattern onto towel. 4. Stitch around entire pattern. 5. Done!! I love quick and easy gift/crafts! 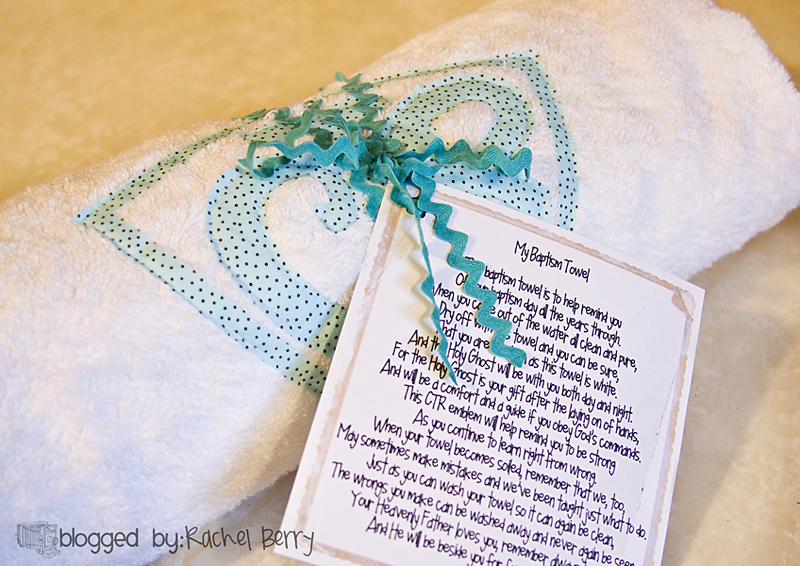 Here is the link to the Poem that I used to attach to our towels. 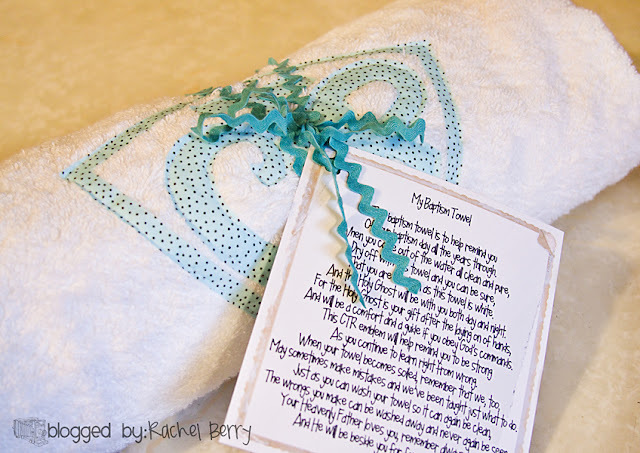 OH MY goodness Rachel~ love love love this, My "oldest" just got babtized this past Oct. It was a special day. I so want one of these so bad... MAYBE A GIVEAWAY.... HINT HINT. I truly love the poem, so sweet and true! Thanks for showing us. Have a great evening, and come say hi too! Rachel I love this idea. I am going to use it for My Isaac when he gets baptized. LOVE LOVE LOVE it! I am definitely making one of these for my girly! Soooo cute! Have a fantastic day on Saturday! Oh my cuteness! These are adorable. Thanks so much for sharing. You are so nice to make one for everyone in your ward. That is really precious! LOVE LOVE LOVE the poem. Love the towels!! What a great gift idea! And I love the pink/brown/blue floral pattern if you want to make me a peony or 2 out of that I would love it!!! Great idea! I printed it out so when my grandbaby is old enough I can make her one! This is such a cute idea...i love it! I'll have to make one for each of my kids when they turn 8. Oh, and I also have a little Brinley...but we spell it Brynlee. Rachel, you did a fantastic job! What a great gift! I love it! 7 is getting baptized in March. I just might have to do this. Thanks for the great idea! Oh I love this....what a great job and I know Brinley will treasure this in the years to come. What a crafty chick! WOW! I love this! I wish I had started doing this when I first became Primary President almost 3 years ago!!! Absolutely darling! You should sell these in your Etsy shop. Seriously so cute. That is clever! I just give book markers. LOVE THIS!! I'll be featuring over at Ucreate! We have 4 getting baptized this year. My daughter and her three cousins. So I now have the best project to work on over the next few months. What a great idea! Morgan has two friends getting baptized. Great. . . now I have one more thing to add to my To Do list. Thank you SO much for the great idea! I will be making a couple of these! And thanks for sharing the poem! I printed out the CTR pattern and it is really small, like 3" small. Does that seem right or did I some how print it wrong. Thanks! These are adorable! I wish I would have seen this before my baptism towel episode of 2009! I can't wait to try one! 3. How come I haven't seen you and your family in AGES?! Addison is getting sooo big! Any my little Corbin Cazoo is nooooott little anymore... this is not good... I don't like when I don't see you guys! Wonder Under rocks!! My daughter and 4 of her cousins have upcoming baptisms - this idea is just AWESOME! Thanks for sharing. This is so awesome! Thanks for sharing it with us! I just finished mine - for my niece! @Kristine: CTR stands for "Choose the Right" (or, if you are a smart-mouth..."chase the rich" ;) It's an LDS-coined acronym to remind children to make good choices. When LDS kids reach the age of 8, they usually receive a CTR ring at church to remind them of the promises they'll make at baptism. Perhaps you are familiar with the popular "WWJD/What Would Jesus Do"--it's the same concept! This is FABULOUS. Are you going to sell these in your ETSY shop by any chance? I trace my pattern on the paper backing since i find paper so much easier to cut than fabric!! Also, did the fabric fuse okay to the towel with its texture? My neice is getting baptized in August so I just have to find out her favorite color and get started. Such a great idea! Thanks for the idea. I linked my project to yours. Oh I'm so excited to make this for my little sister getting Baptized this saturday !!! So Cute ! That's very nice of you to spend time to make all that as a baptism gift. It looks like a great gift. I got a custom jewelry for my nephew for his baptism. He wears it all the time and he loves it. One of the most nicest post I have ever seen. Cute idea! 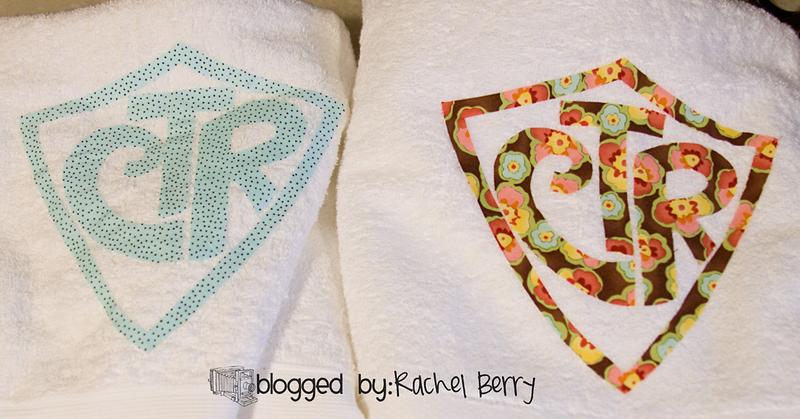 The towels turned out wonderful & what a fun gift to give someone. I love your idea! Thank you for posting. Great job on those kids towels. They're really lovely. Thank you, Rachel for the pattern & poem. I made one & it turned out ALMOST as nice as yours. I appreciate your wonderful blog. I just realized this post is over 2 years old, but I have a question. Does the Wonder Under keep the fabric from fraying? I just became primary president and the CTR towels we have now are embroidered but we only have 2 left and 8 kids getting baptized this year. I love love love your idea. Thanks. I have 4 boys that aren't anywhere near old enough to get baptized yet, but they love superhero and capes - I am going to use this idea to make them each their own CTR cape, then their baptism towels when they get older! Great idea! Thanks! Thank you so much for this beautiful and easy tutorial. 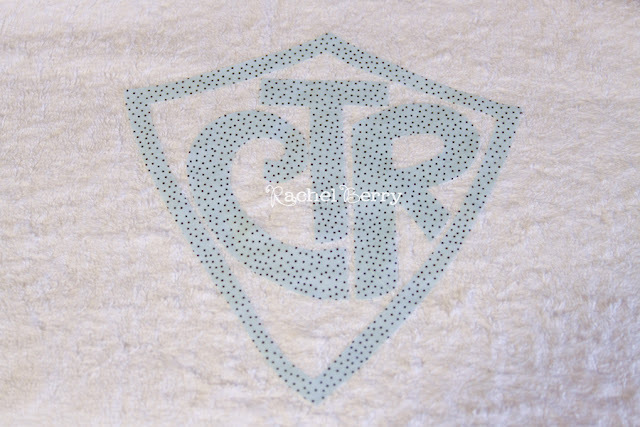 We're having a baptism in our Spanish branch soon for a 6 years girl....I know she'll love this towel!!! I can wait until my boy is 8 years old! Thank you! I just made one for my grand daughter. Your tutorial was great! I know I will be making ten more of these through the years as the rest of my grand children get baptized. Thank you for the wonderful tradition you helped me start in my family! I'm doing this for a few little ones getting baptized tomorrow afternoon. I love this!!! I cannot get the CTR pattern to come up??? I love these! We made them all for our primary this year. I also did a blog post and gave credit to you and linked back. Hope that is ok. let me know. Will the edges fray? or does the wonderunder keep it from fraying? They may fray a little but I tend to stitch pretty close to the edge of the letters.